Opening of new London office will double Amazon's UK R&D centre to around 900 employees. Amazon has opened its new UK head office in London with the promise of doubling its research and development team in the country. The company is taking over all 15 floors in the 600,000 square feet Principal Place building in Shoreditch, in the east of the capital, as it looks to boost its UK presence to a new high. "London is one of the world's truly great cities and home to some of the most talented, creative people on the planet, and we are delighted to provide our teams of innovators with a new, purpose-built workplace," said Doug Gurr, UK country manager, Amazon. The new office will allow Amazon to double the size of its London Development Centre from 450 to 900 high tech staff, and also become a new base for a number of other corporate roles from across the company. The Amazon London Development Centre will take over three entire floors of the new building, with its main focus being R&D for the company's global Prime Video service. The news also means that Amazon has invested more than £6.4 billion in the UK since 2010, with the company now hoping to have over 5,000 workers in its three London offices (based in Shoreditch, Holborn and Barbican), supporting its retail, digital entertainment, devices and AWS businesses. "London is open to talent, innovation and entrepreneurship and the natural place for major global companies to call home – and it's great news that Amazon has put its confidence in our unique blend of talent, creativity and access to finance," said Mayor of London Sadiq Khan. "This is the latest in a long line of recent major investments in London by global tech firms over the last year, and shows once more that our great city is the tech capital of Europe." 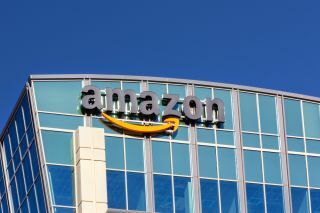 The launch is the latest major investment in UK R&D by Amazon, which has also recently grown its development teams in Edinburgh and Cambridge to focus on areas such as drones, voice recognition and online shopping enhancement. Amazon has also pledged to create 5,000 new permanent jobs across the UK, boosting its presence to 24,000, with opportunities available for workers with all kinds of experience, skill levels and education. "There is a thriving creative community here in London, many of whom we already work with on Amazon Original and exclusive TV shows like The Grand Tour and the forthcoming Good Omens," said Jay Marine, vice president, Amazon Video Europe. "We also have hundreds of dedicated software engineers right here in London working hard every day to deliver a fantastic video experience to our Prime members, wherever they're watching on whatever device they are using."